to give life to; make vital. to give vitality or vigour to; animate. An SEO-strong website is like a tennis racket. If you want to maximise your performance, you need a top-notch racket. That said, the racket won’t win the game by itself. The necessary skills, game plan and fitness levels are also required. Similarly, growing your online presence takes time. And know-how. A game plan and perseverance is essential. And both take time to implement, execute and manage. For small businesses, such time is often considered a luxury. With time at a premium, there are always too many other important things requiring attention. Marketing is often last on a very long list of must-dos. 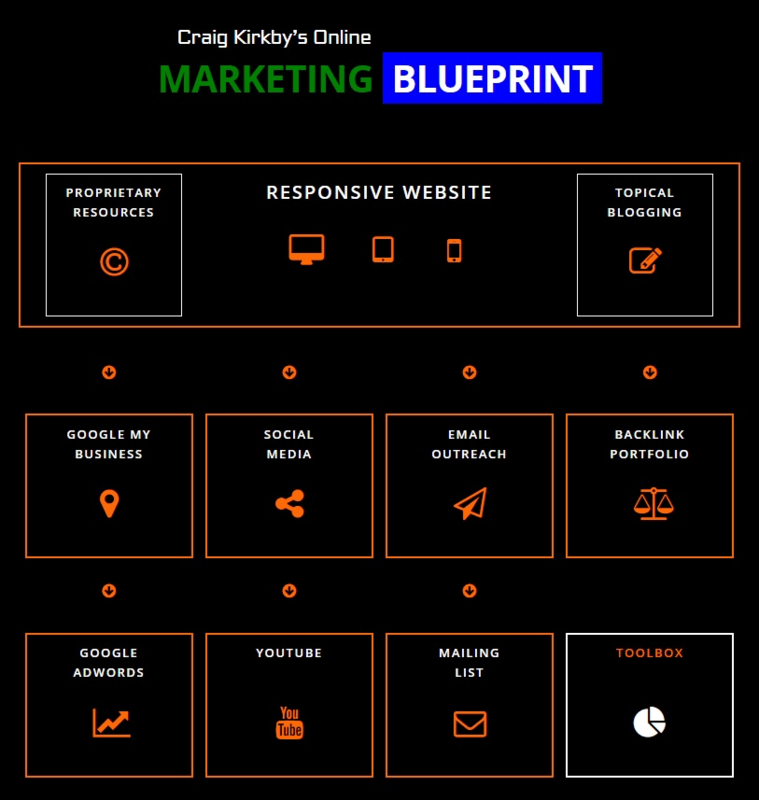 Enter Vitalise MarketingTM, a monthly marketing service designed to grow your online brand based on our own comprehensive Online Marketing Blueprint. Consider us your at-hand marketing agency. We only keep a select number of accounts in this regard due to the time and attention required. To grow your brand by increasing your online reach and strengthening your online presence. This is achieved through keyword-rich content marketing, acquiring social media cues (SMQs), curating a growing mailing list, managing a strong website, monitoring a healthy backlink portfolio, along with developing custom marketing strategies. Creating SEO-strong, topical blog articles. As you know, creating a researched, resourceful keyword-rich blog, preferably of 1500+ words, is important to keeping your site dynamic. Since it also forms the basis of content marketing so crucial for SEO, it will be a cornerstone of the content disseminated via social media. Managing Facebook campaigns per month. Facebook remains the dominant social media platform (with 65% of all social media traffic) and working it well is crucial for building your brand, and procuring social media engagement and organic backlinks. One campaign will aim at channeling traffic back to your website. Two campaigns will aim at procuring SMQs: Likes, Shares, Comments. Each campaign consists of four Facebook posts a month; thus, it equates to 12 posts in total per month. These campaigns will be repeated on Google+. These numbers depend on the Service Fee Level chosen. Building a growing Twitter presence. While Twitter is less effective than Facebook, an active Twitter account adds savviness to a business profile. The Facebook campaigns will also be run on Twitter but adapted to grow the number of followers on this platform. Thus, it will involve 12 posts per month. This depends on the Service Fee Level chosen. Building and managing a subscription mailing list. Publishing newsletters to serve the mailing list. A mailing list grows cold without tactful value-added contact. A monthly newsletter primarily serves to keep subscribers engaged and to direct them back to news and resources on the website. Growing and monitoring a diverse backlink profile. While organic backlinks largely grow out of the success of the above tasks, they do need to be watered and nurtured, especially when it comes to monitoring anchor text and the ratio between nofollow and dofollow backlinks. What’s more, Google now requires webmasters to manage the links pointing back to their site, weeding out spammy, low-quality links via the Disavow tool. This online reputation management is becoming increasingly important in the SEO mix. This depends on Service Fee Level chosen. These Key Performance Indicators include metrics on organic search, social engagement, keyword tracking, and your website’s progress in terms of independent sources such as Alexa and Ahrefs. Not only is past progress monitored from these metrics, but future strategies are developed, too. For example, a strategy involving YouTube is best constructed from the knowledge gained over a three-month period. Using Google PPC advertising, including Google’s remarketing tool, is another weapon in the arsenal. If you don’t exercise this option immediately due to budget constraints, we can add it to the service down the track. Maintaining and managing your website. The Vitalise MarketingTM service includes the Top Star Support I offer. This is a monthly service in which I manage your website: processing WordPress, plugin and Themify updates, making edits and tweaks as requested, offering suggestions in keeping with new Google and WordPress developments, etc. In essence, you have an on-hand “website guy”. Website developments are included for Service Fee Level 2 & 3. Creating a Lead Magnet and Proprietary Resource. We offer a month-to-month service, payable in advance, and you can terminate the arrangement at any time by simply declining the new invoice. No questions asked. No reasons required. One incentive resource to increase the effectiveness of your subscription mailing list. One proprietary resource that the research deems important in your industry. You can, of course, take my service on a month-to-month basis rather than committing to a three-month period. However, since these resources take considerable time to create, they’re only available should you commit to the latter. It takes time to get a proper feel of your industry before creating such resources. We usually create the lead magnet in 4-6 weeks and the proprietary resource in 8-10 weeks. WHY USE OUR MARKETING SERVICE? While we use a number of state of the art tools, such as Ahrefs, Mention, CrowdFire and Canva, we take pride and pleasure in personally and actively managing your account. In other words, you don’t get an auto-generated service and an algorithm-spewed generic report at the end of each month. Rather, we offer a hands-on approach. One tailor-made for your business. Marketing efficacy increases over time, informed by Marketing Intelligence (mIQ). Growing our mIQ of your business, we seek to augment it by reflecting online what you’re doing day-in and day-out. We brain storm and research new ways to expand your brand reach and enlarge your online footprint. We collaborate with you and submit every campaign, blog and post to you for approval. In essence, we serve as your at-hand marketing agency. I have a vested interest in your progress. To be frank, I’d like to enjoy a long and successful business relationship with you. Since this is a result-oriented business, the moment you feel I no longer add value, you can stop renewing our month-to-month arrangement. We offer three levels of Vitalise Marketing. Pick the one that suits your budget. Don’t hesitate if you want clarity in terms of the differences in each level. Get in touch today! Throughout the duration of our arrangement, we will not make the Vitalise MarketingTM service available to any other business in your niche or industry. Please let us know if you have any questions via the contact form. Or if you’re keen, you can click the link below for the order form.